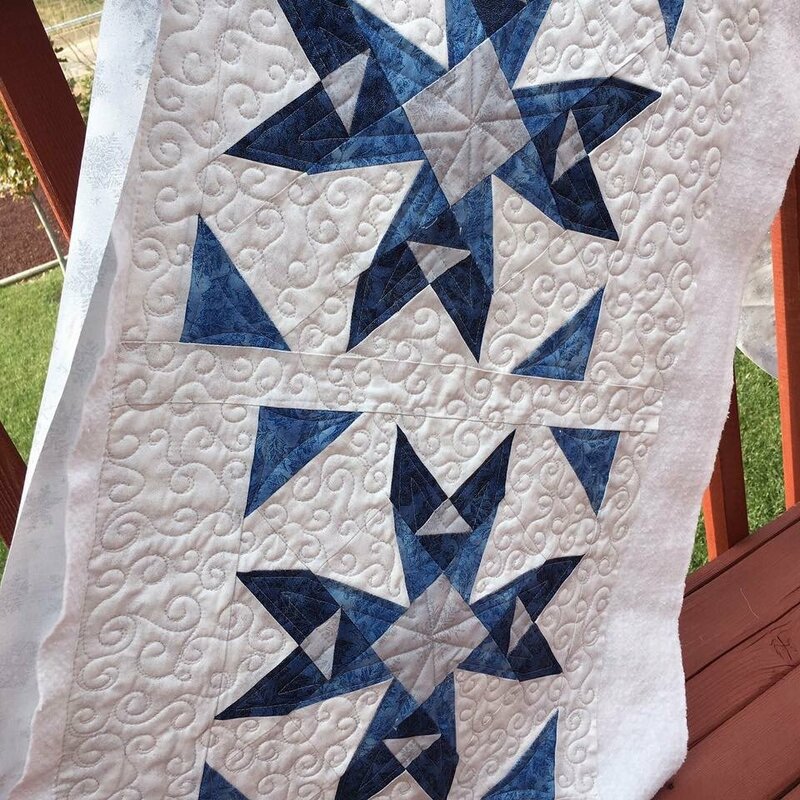 Bear Paw Star Kit featuring Bless This Home fabrics. 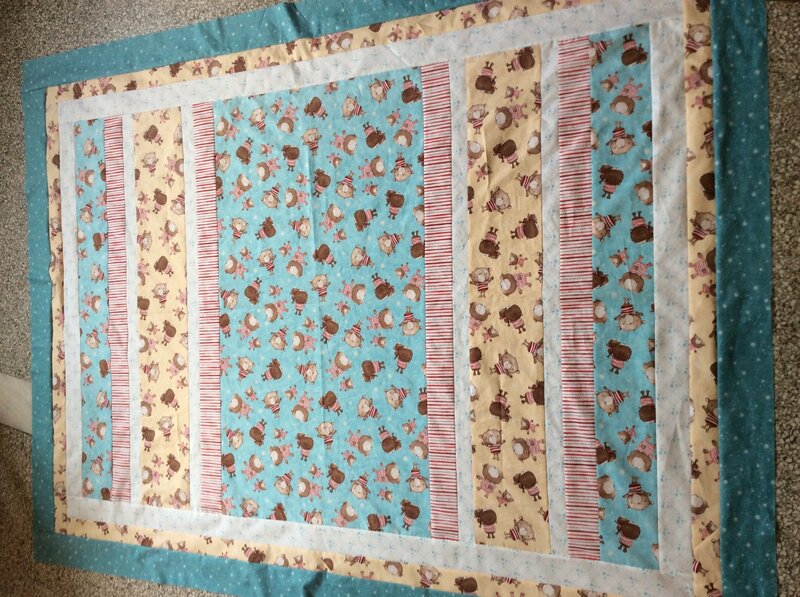 Kit includes quilt top fabric & binding. 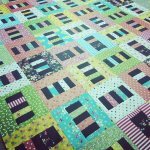 Pattern found in the Strip Tubing book by Cozy Quilt Designs. Finished size throw 76" x 76". 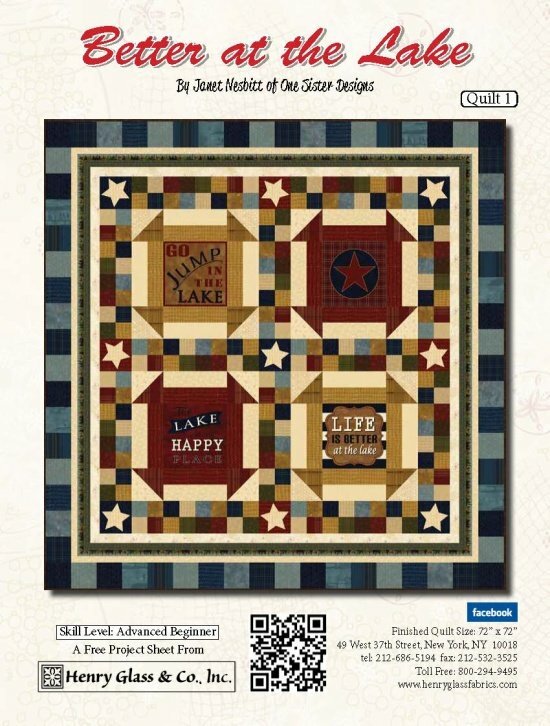 Better At The Lake Quilt Kit by Henry Glass & Co. 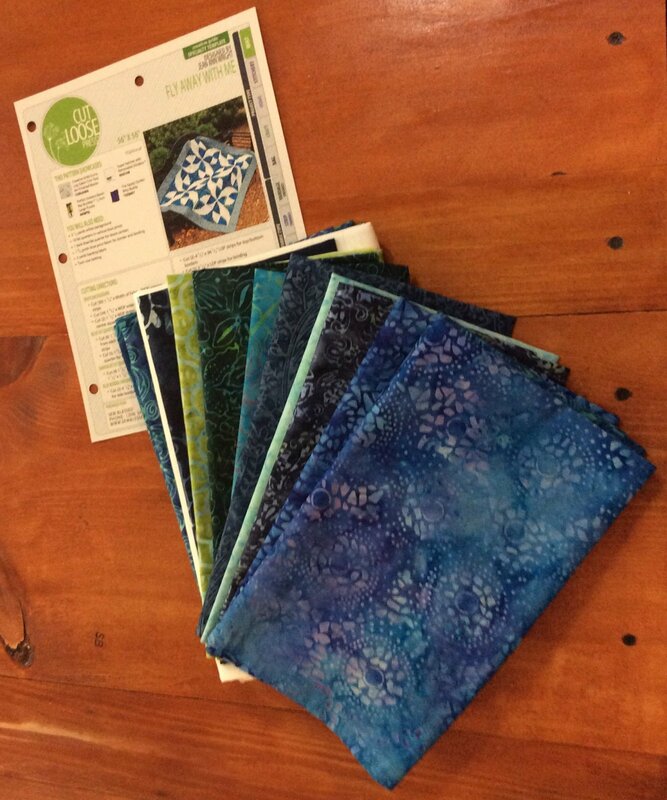 Better At The Lake fabric by One S1ster Design featured in the kit. Finished Size is 72" X 72". 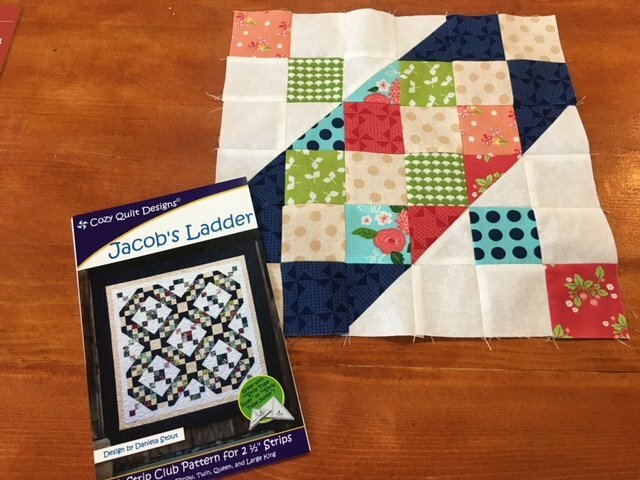 Kit includes pattern, quilt top fabric and binding. Backing not included. Bizzy Kid by Cluck Cluck Sew featuring Gypsy lane Fabric by Camelot Fabrics. Finished Size is 48" X 60". 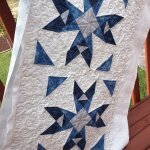 Kit includes pattern, quilt top fabric and binding. Backing is not included. 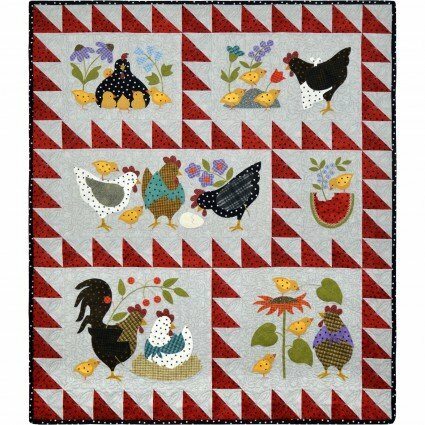 View Large Image Boardwalk Prairie Kit 66 1/2 X 76"
Boardwalk by Cluck Cluck Sew featuring Prairie by Corey Yoder. Finished size 66 1/2" x 76". 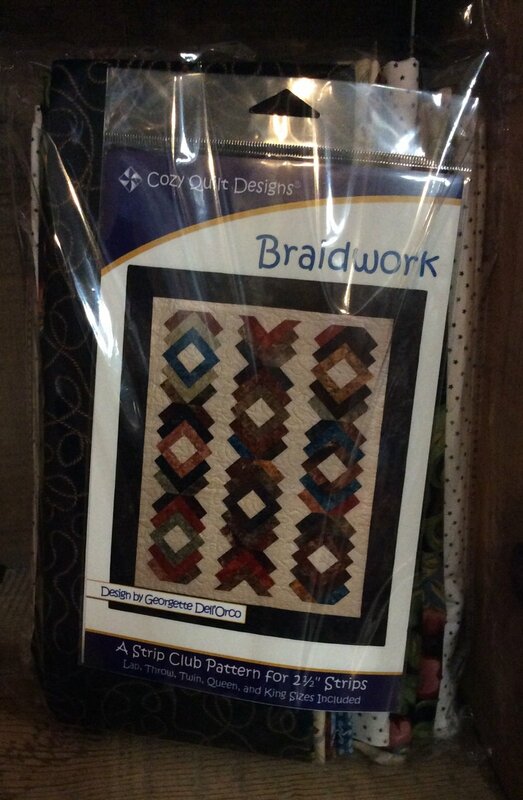 Kit includes pattern, quilt top fabric, & binding. Backing not included. 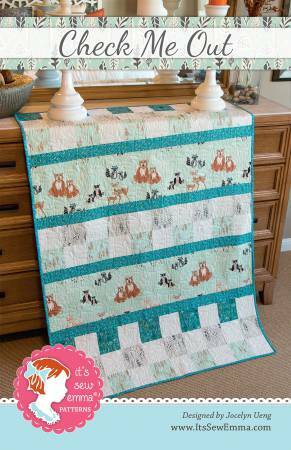 Braid in a Day by Eleanor Burns featuring Bella fabric line by Exclusively Quilters. Finished Size is 53" x 72". 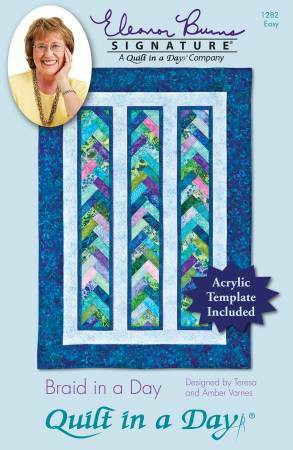 Kit includes pattern, ruler, quilt top fabric and binding. Backing is not included. 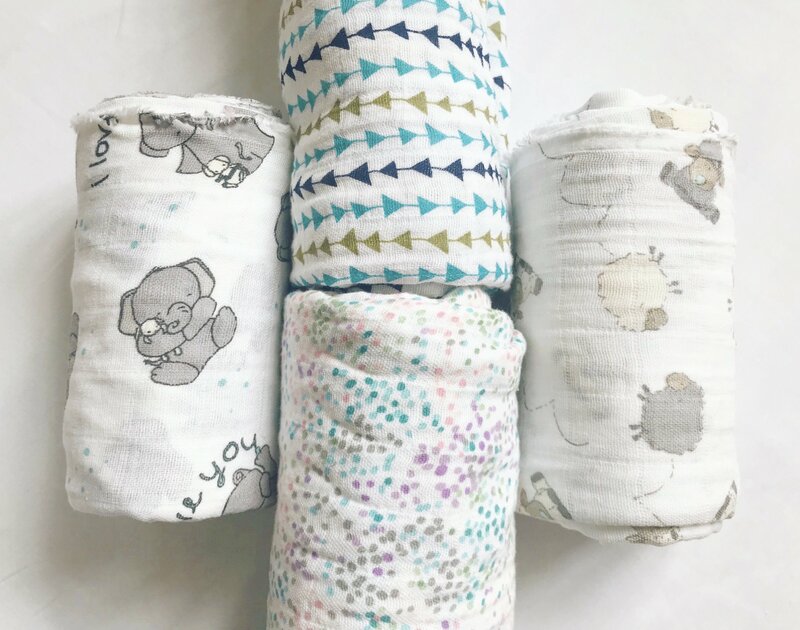 Check Me Out by it's sew emma designed by Jocelyn Ueng featuring Lullaby fabric by Moda. Finished Size is 40 1/2" x 58 1/2". 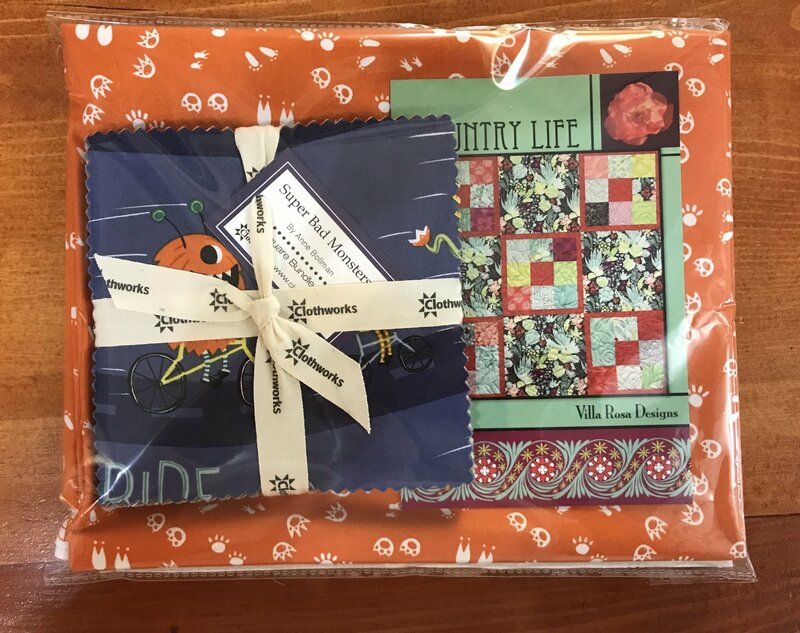 Kit includes pattern, quilt top fabric and binding. Backing not included. Claudette Husker Kit. 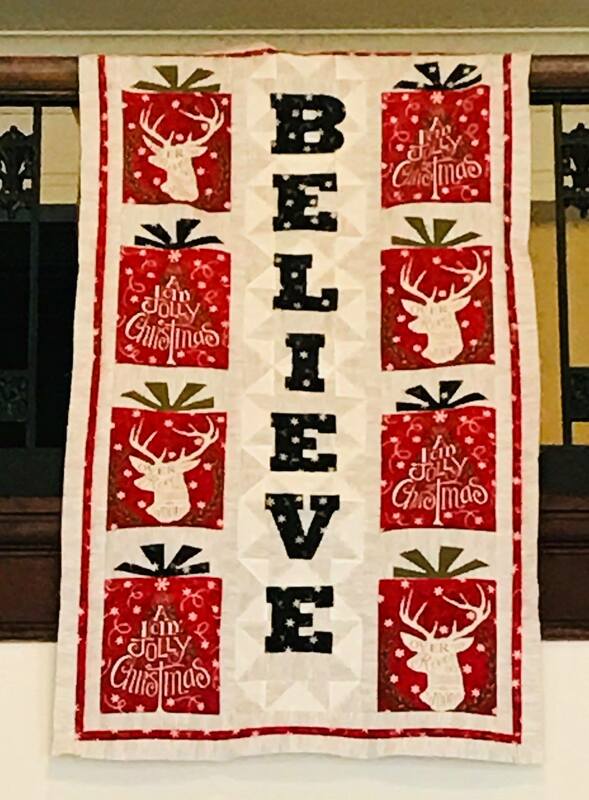 Pattern by Villa Rosa Designs. Finished size 57" x 75". 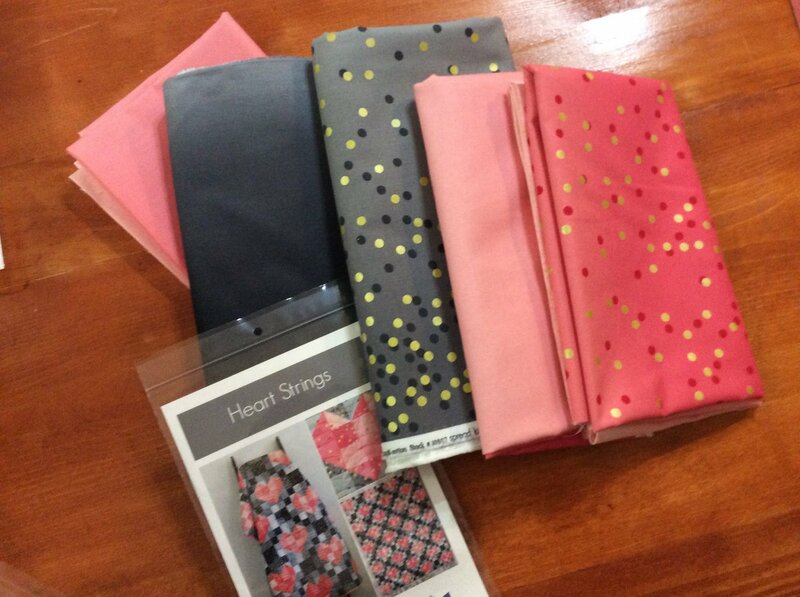 Kit includes pattern, quilt to fabric, & binding. Backing not included. Cosmic Stars Pixie Party Kit. 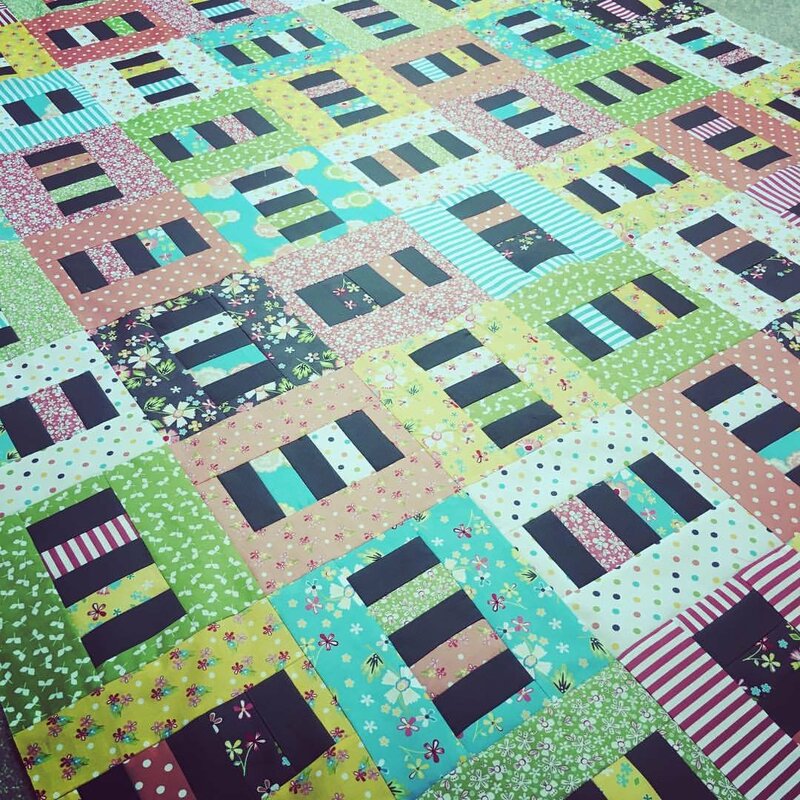 Kit is all precut ready to sew - throw size. 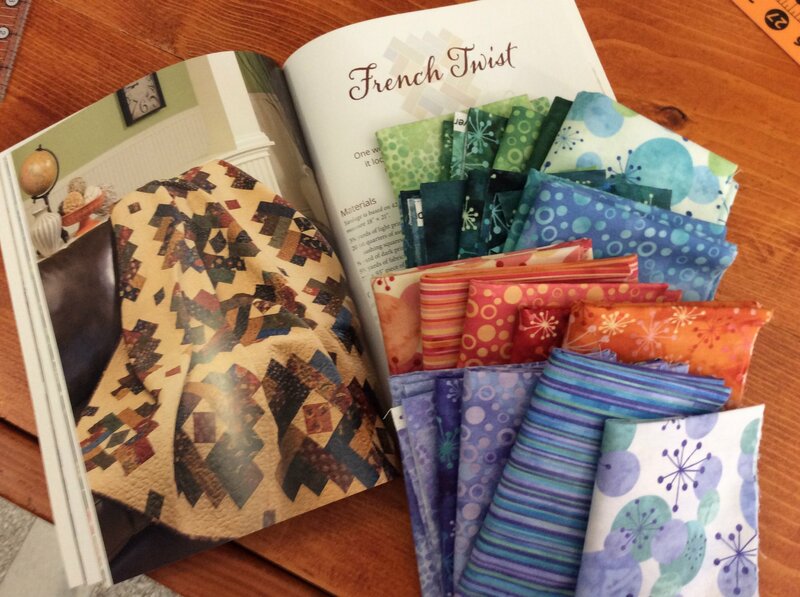 Kit includes pattern, quilt top fabric, & binding. Backing not included. 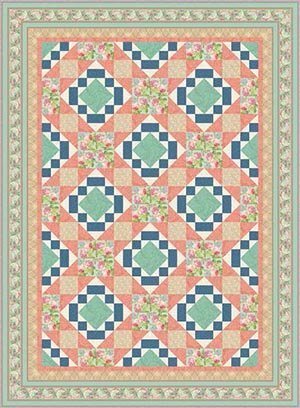 Cuddle Kit Sensational Strips Bella Vita Finished Size 58in x 73in. Backing Fabric not included. 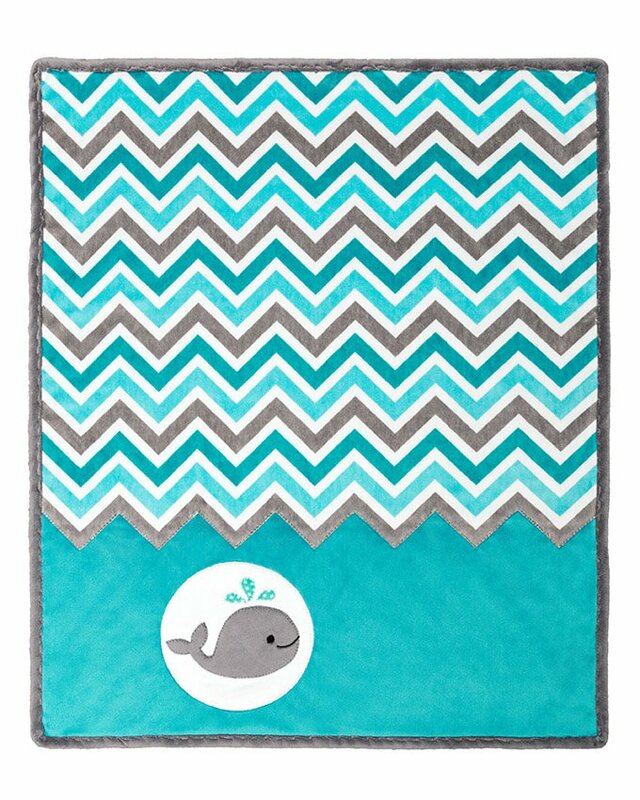 Cuddle Kit Ziggy Moby by Shannon fabrics. Finished size is 28in x 35in. 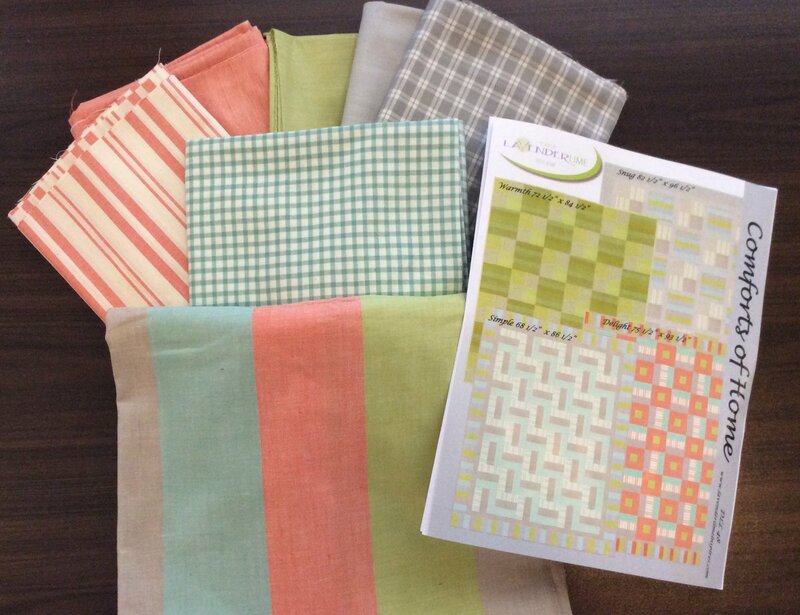 Kit includes pattern, top fabric, backing and binding. 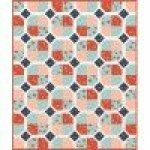 Cute As A Bug Quilt Kit by Artichoke Collection featuring All Stars Fabric by Quilting Treasures. Finished Size is 36 X 42". 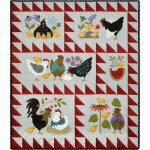 Kit includes quilt top fabric, pattern and binding. Backing not included. Delight Comforts of Home Kit. 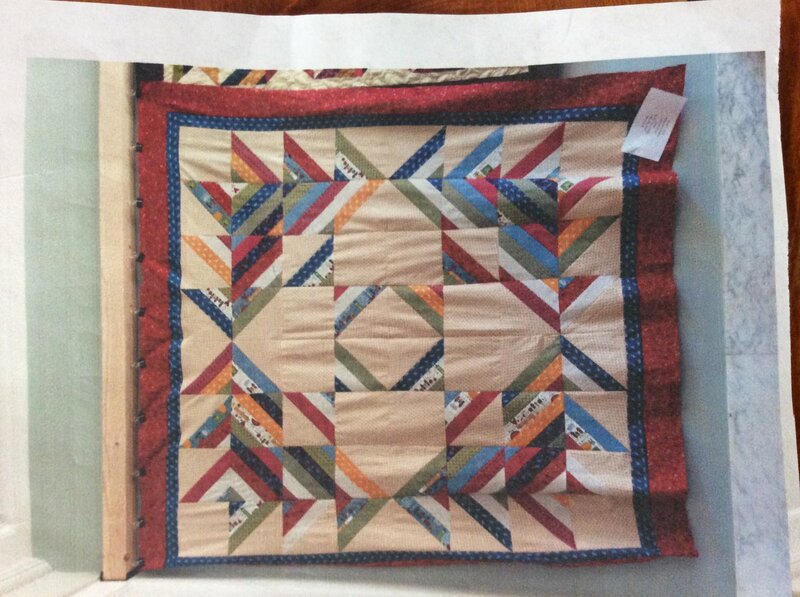 Kit includes pattern, quilt top fabric, & binding. Backing not included. 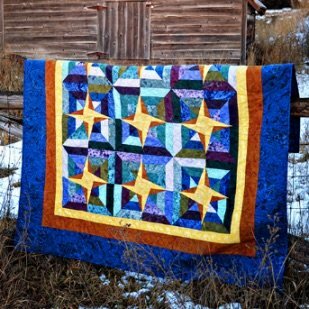 Finished Size 75 1/2" x 93 1/2"
Diamond Double Quilt Kit in RJR batiks by Cozy Quilt Designs. 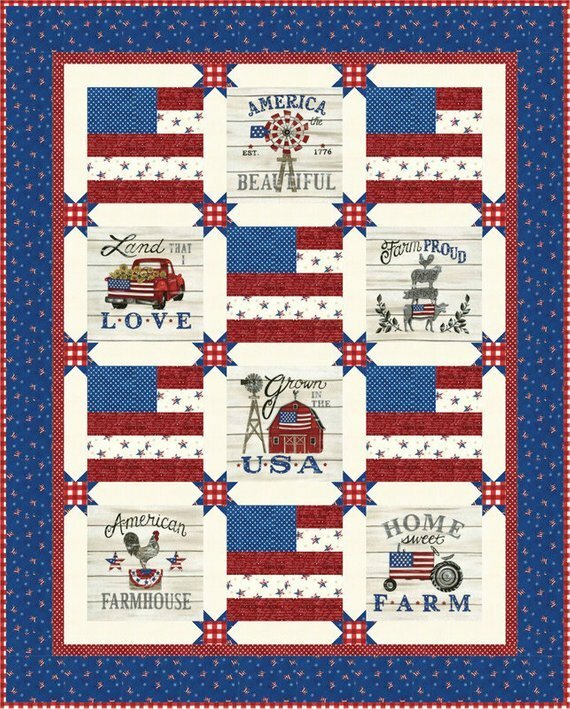 Kit is pre-cut for you and includes pattern, quilt top fabric, & binding. Backing not included. 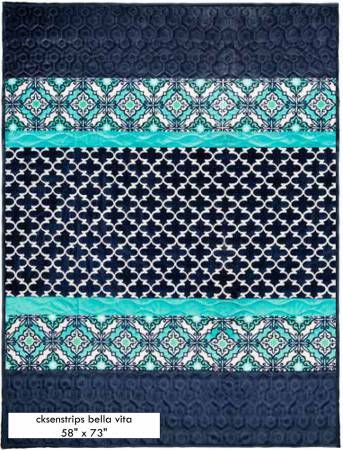 Diamonds Quilt by Camelot fabrics featuring Happy Thoughts fabric line. Finished size is 60" X 72". 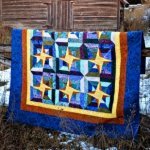 Kit includes pattern, quilt top fabric and binding. Backing not included. 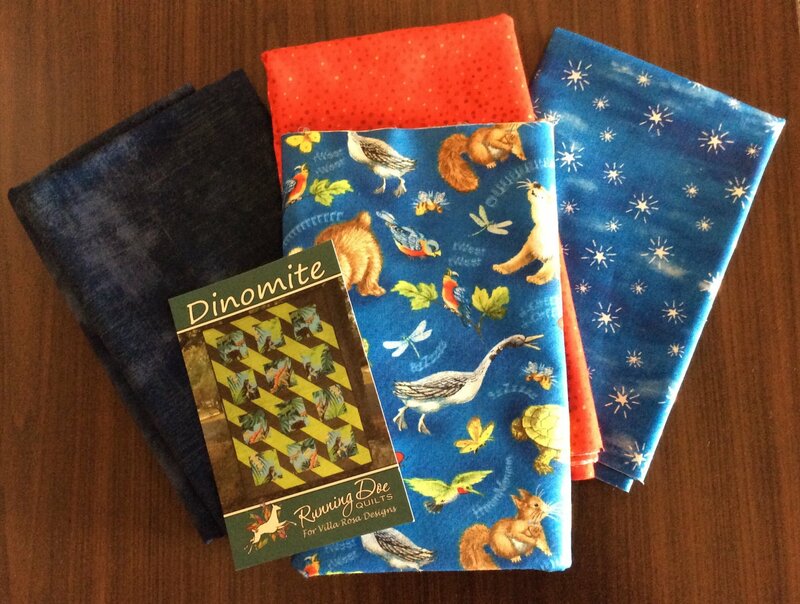 Dinomite by Villa Rosa Featuring blue animal print and red, blue and navy fabrics Pattern included Finished size 46"x60"
Create beautiful double gauze swaddling blankets for baby. 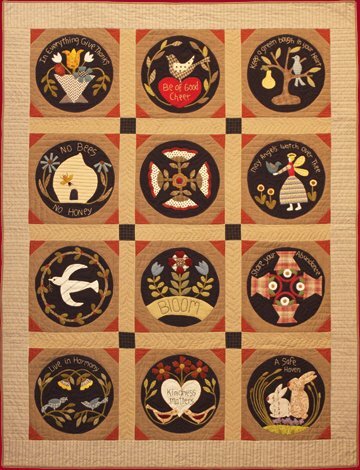 Downton Abbey Home Quilt Kit featuring Downton Abbey Home Fabric from Andover. Finished Size 66" X 90". 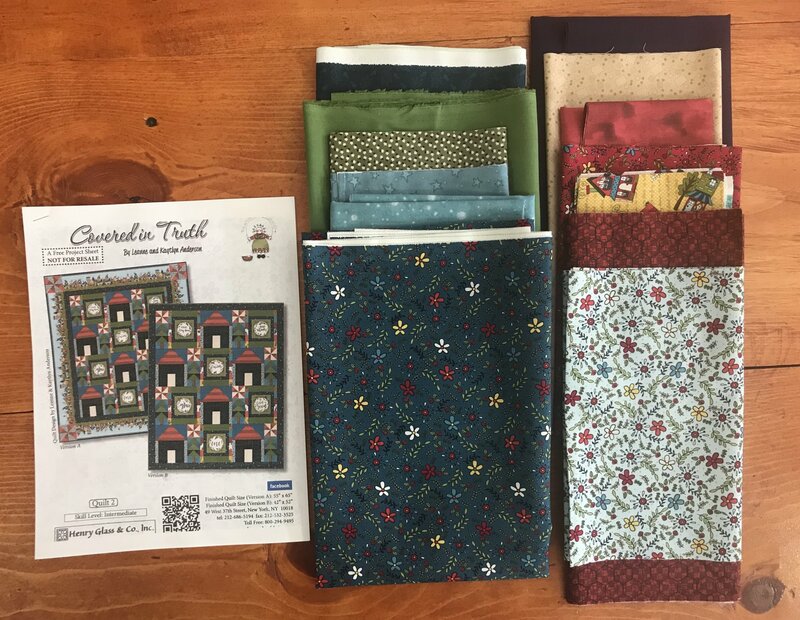 Kit includes pattern, quilt top fabric and binding. Backing not included. 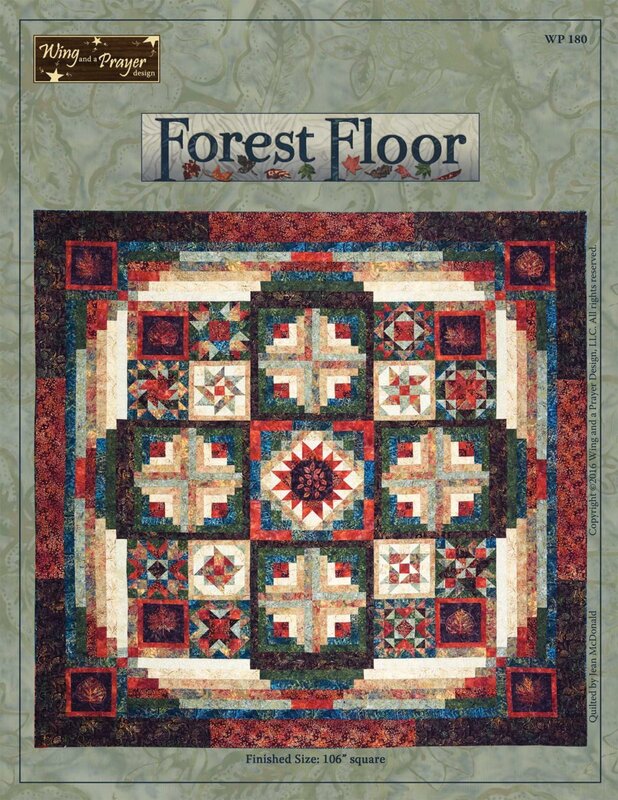 Forest Floor Block of the Month by Wing and a Prayer Designs. 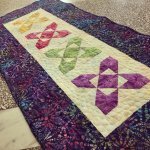 Finished quilt 106" square batik quilt. Monthly payment options available along with whole kit (pre-pay) option. Please contact the shop for more details! 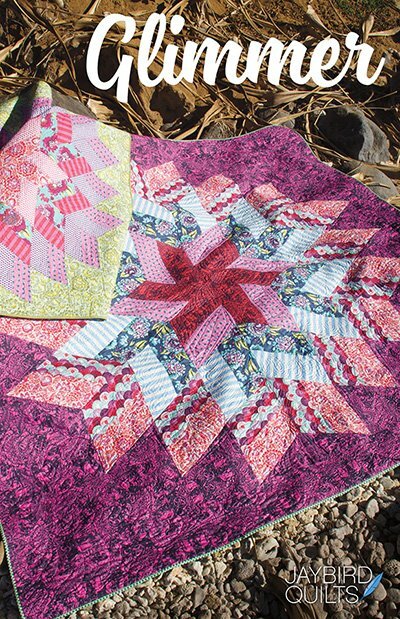 Glimmer by Jaybird Quilts featuring the Blush and Blooms line of fabric. Finished size is 60" /60". 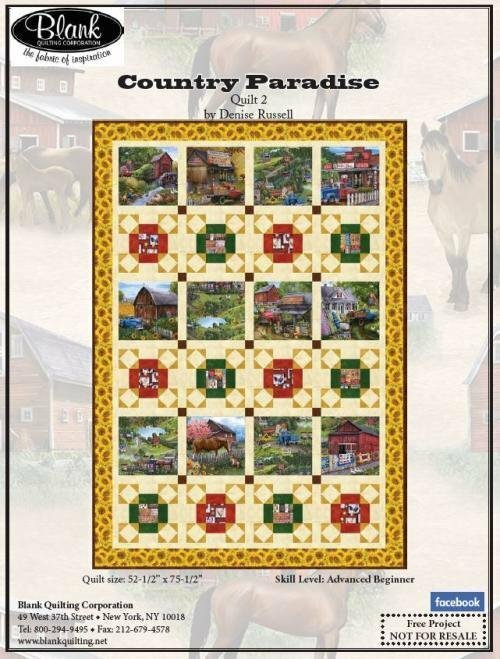 Kit includes pattern, quilt top fabric and binding. Backing is not included. 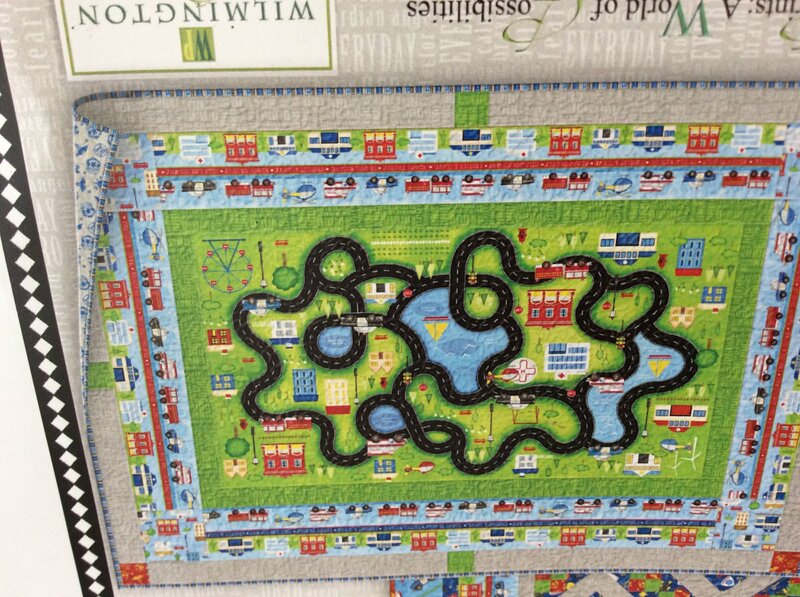 Help Is On The Way Play Mat by Wilmington Prints. Finished Size is 44" X 63". 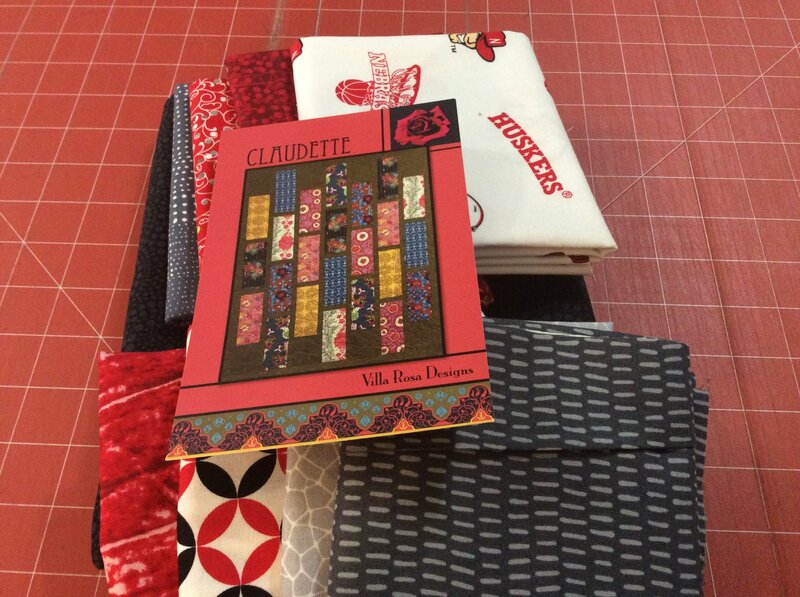 Kit includes pattern, quilt top fabric and binding. Backing not included. 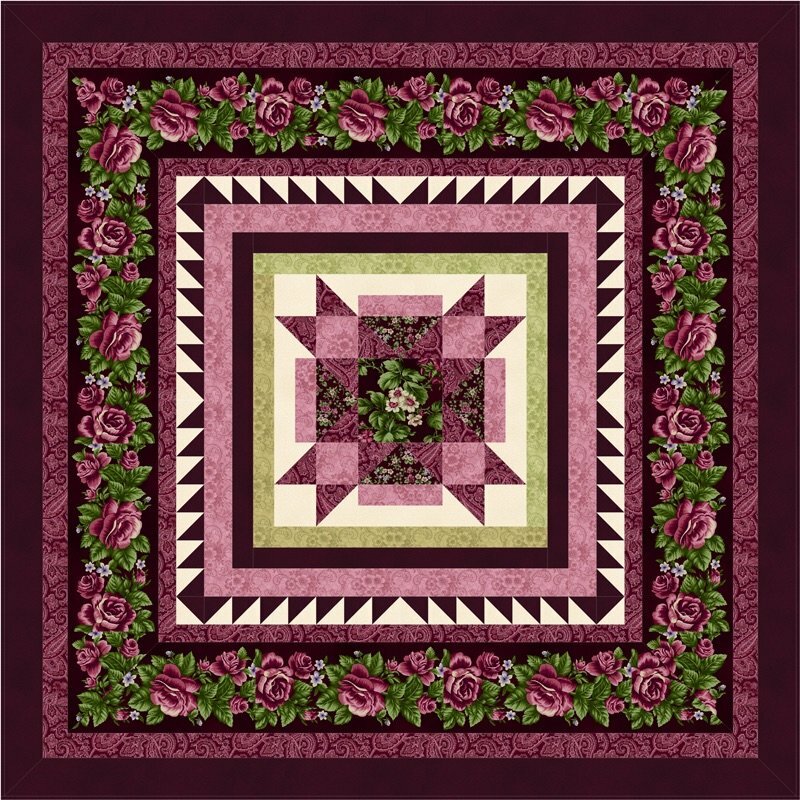 Kim Diehl Whatnots Club Hen Pecked Finished size 10 1/2" X 10 1/2"
Kim Diehl Whatnots Club Honeycomb Finished Size 12" by 14"
Jacob's Ladder kit by Cozy Quilt Designs featuring Gooseberry fabrics. Finished size (throw) 66" x 66". 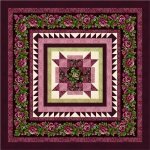 Kit includes pattern, quilt top fabric, & binding. Backing not included.